The new 2016 Mazda MX-5 Miata has made its way to our shores with many enthusiasts salivating over the latest edition of the coveted roadster. 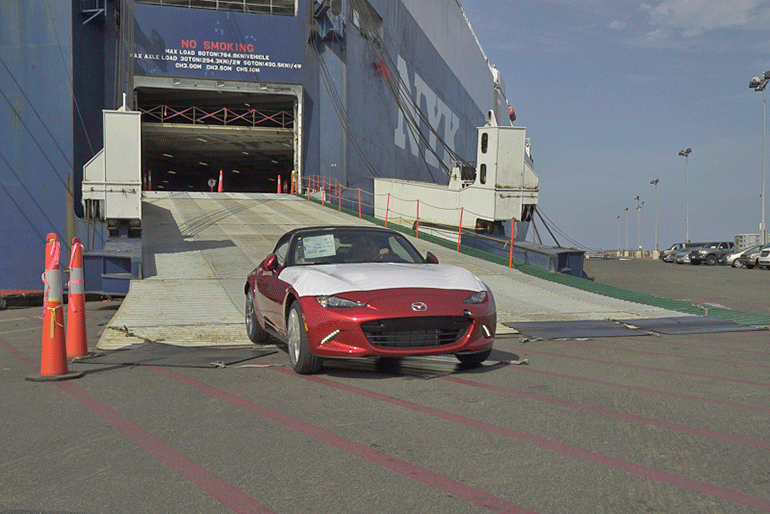 Among the very first shipment of new 2016 MX-5 Miatas, one had a very unfortunate path that was literally met with the front-end of a Ford truck plowing into the rear while the front of the Miata slammed into a vehicle in front of it potentially bending the frame. The story of this new vehicle meeting a premature demise thickens when our fellow enthusiast and local-to-Jacksonville, FL Miata owner only got to enjoy under a full mile of excitement behind the wheel of his new Mazda. The unfortunate accident took place down the street from the dealership, which happens to be one of the sponsors for our monthly Automotive Addicts Cars and Coffee Show, Tom Bush Mazda. The dealership, Tom Bush, made good with the owner with arrangements through Mazda USA to provide a replacement for the individual’s totaled Miata in the form of a another rare limited Launch Edition MX-5 – only 1,000 units will be available. The new vehicle is said to be delivered to the unharmed owner in about a month’s time.